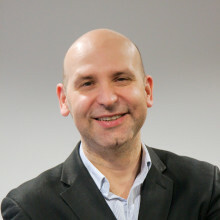 Francis Ruiz is a Senior Adviser for the Global Health and Development Group at Imperial College London. He previously worked at the National Institute of Heath and Care Excellence (NICE) from 2003 -2016, first within the Technology Appraisals programme, then within the Guidelines team and finally with NICE International. He has a specialist interest in health economics and has worked on a number of technology appraisals and guidelines in a variety of therapeutic areas. Prior to joining NICE, Francis worked for over six years in clinical data management and health economics within the pharmaceutical sector. Francis graduated with a BSc in physiology from the University of Dundee in 1993. He also holds a post-graduate diploma in psychology from the Royal Holloway (University of London) and an MSc in Health Policy, Planning and Financing from the London School of Hygiene/London School of Economics.